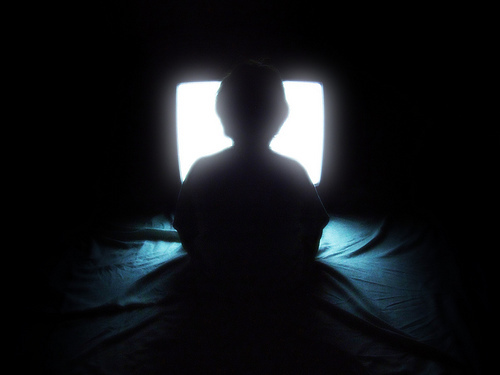 The negative effects on children of watching too much television are well known, and the American Academy of Pediatrics has recommended children not watch more than two hours a day. New research from the University of Minnesota has found that teens who watch more than five hours of TV a day are more likely to become fast food junkies when they grow up. The researchers found that high school students who watched over 5 hours of TV each day consumed less fruits, vegetables, whole grains and calcium-rich foods as young adults, and instead had a higher intake of fast food, fried foods, snack foods, sugary drinks as well as foods with trans fats. This research tugs not so gently at the wool in front of all of our eyes – revealing that heavy TV viewing, especially of food advertising – makes a difference to our children`s diets…his research suggests that heavy TV-viewing adolescents consume about 200 more calories per day than those who watch a moderate amount of TV. That is a lot of calories by anyone`s count. My thanks to you for taking the time out of your day to write about something like this.